Who was in “Abbott & Costello Meet the Killer, Boris Karloff” (in addition to the three main players in the feature)? 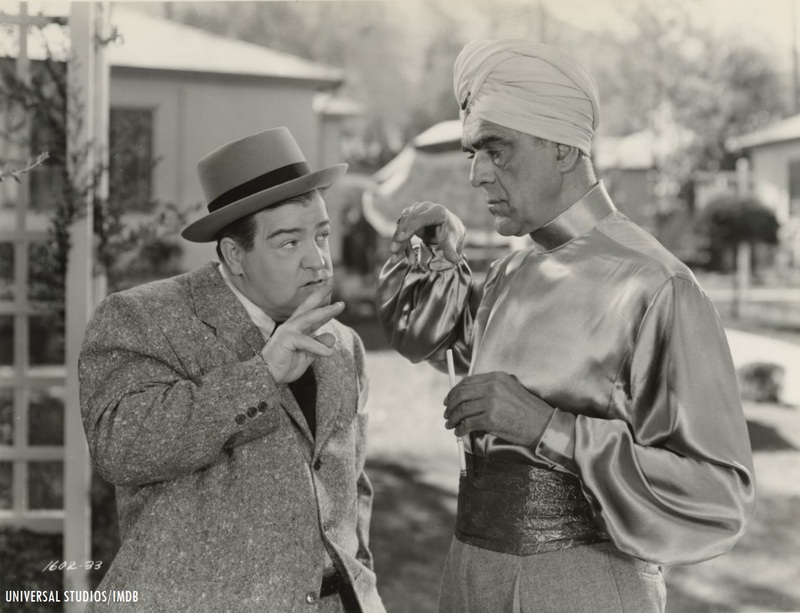 Lou Costello (as Freddie Philips) and Boris Karloff (as Swami Talpur) in “Abbott & Costello Meet the Killer, Boris Karloff” (1949). In addition to Bud Abbott (as Casey Edwards), Lou Costello (as Freddie Phillips) and Boris Karloff (as Swami Talpur), there were additional players in Barton’s film; including Lenore Aubert (as Angela Gordon), Gar Moore (as Jeff Wilson), Donna Martell (as Betty Crandall), Alan Mowbray (as Melton), Roland Winters (as T. Hanley Brooks) and Billy Gray (in a non-credited role). This wasn’t Lenore Aubert’s first encounter opposite Bud and Lou, she previously appeared in “Abbott and Costello Meet Frankenstein” (as Dr. Sandra Moray). Besides playing various character roles throughout his screen career, Roland Winters was also known for his role as Charlie Chan in Monogram Pictures’ detective film adaptations beginning in 1947 (after the death of Sidney Toler, according to IMDB’s portal on Winters,). After his appearance in the 1949 Abbott & Costello comedy, Billy Gray would be best known for his roles in “The Day the Earth Stood Still” (1951, as Bobby Benson), “The Seven Little Foys” (1955, as teenage Bryan Foy) and in the 1954-1960 TV adaptation of “Father Knows Best” (as “Bud” Anderson). From Universal’s trade ad (for the studio’s 1949 releases). 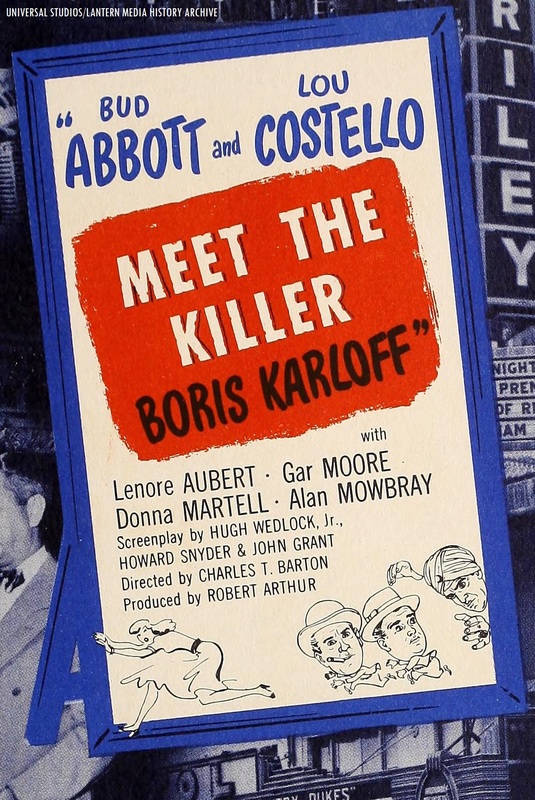 According to the American Film Institute’s database entry on “Abbott & Costello Meet the Killer, Boris Karloff;” the screenplay (formerly under the title of “Easy Does It”) was originally written as a vehicle for comedian Bob Hope (who was under contract to rival studio Paramount Pictures at the time). Because of the major success of “Abbott and Costello Meet Frankenstein,” Universal execs wanted another comedy-horror feature with their comedic duo. The script was rewritten by studio screenwriter Oscar Brodney (who was not credited in the film) for Abbott and Costello. Karloff was originally set to play the role of “Madame Switzer” (according to IMDB’s trivia section). His character was rewritten as a hypnotist five days before filming began. According to the AFI portal, “Abbott & Costello Meet the Killer, Boris Karloff” was not released in Denmark due to heavy objections from local censors over the scene where Bud and Lou were playing a game of bridge with two corpses. Trailer for “Abbott & Costello Meet Dr. Jekyll and Mr. Hyde” (1953). Karloff would appear in another horror farce with Universal’s comedic duo, “Abbott & Costello Meet Dr. Jekyll and Mr. Hyde” (1953, Karloff played Dr. Henry Jekyll/Mr. 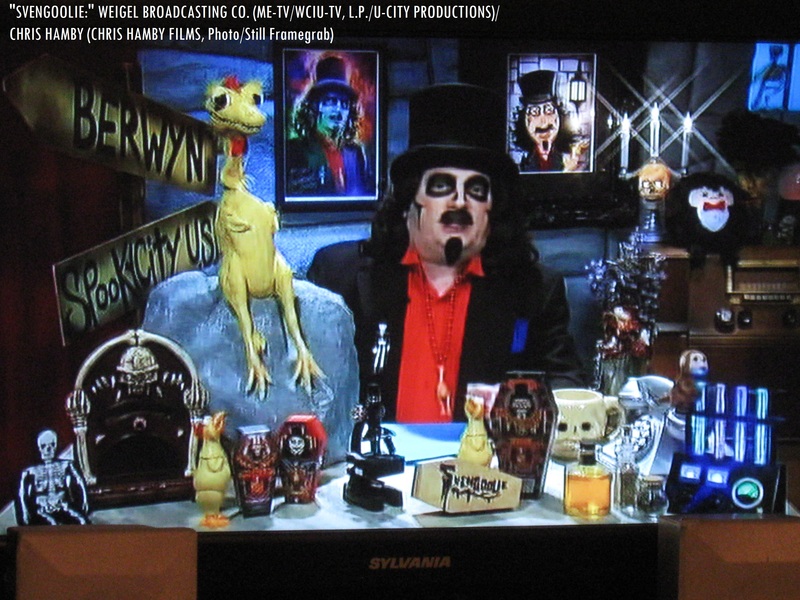 Hyde, the aforementioned film was showcased on Sven’s show back in August 2014 on Me-TV). Be sure to tune in to (or record) Sven’s upcoming showcase of “Abbott & Costello Meet the Killer, Boris Karloff” (1949) this Sat. on Me-TV. With two hours of hilarity and spooks (along with Sven’s fun facts about the film, Doug Graves’ musical intermission, Kerwyn’s “mail call” segment), you will not be disappointed! Ed. Note: A big “thank you” to all fellow friends of the matinee from coast-to-coast for the wonderful congratulatory graduation greetings last Sat. after walking the graduation commencement ceremony at Hood College (highly appreciated)! -C.H. 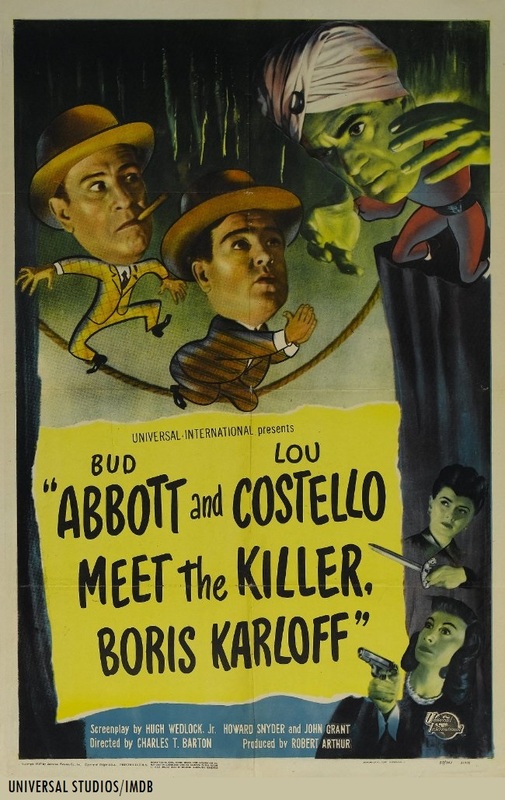 Questions/Comments about “Abbott & Costello Meet the Killer, Boris Karloff” (1949)? Drop a line at the comments section! ← “Mystery Science Theater 3000 Live: ‘Watch out for Snakes!’ Tour” is coming to select cities throughout the nation (July 6-Aug. 12)!